With the expansion of production demand, the market survey shows that laser die board cutting machines are currently very popular in the production process. In order to better analyze the laser industry's competitive advantage in the industry, it has been reported that the laser die cutting machine in the die-cutting board industry should have been quite extensive. The laser die cutting machine has won high praise from all major users for its high efficiency and high performance. 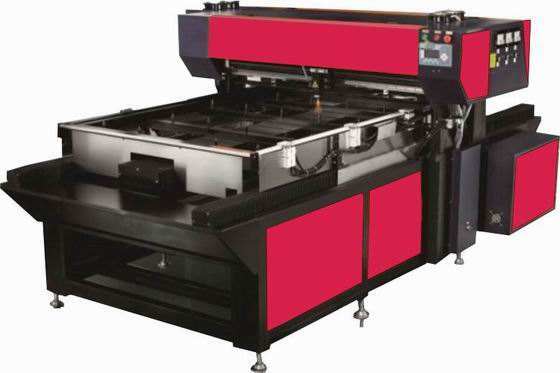 The laser die cutting machine is used in the die-cutting board industry, reducing the number of machining processes, laser die board cutting machine making the product more efficient, and providing faster delivery times; The laser die cutting machine can reduce the number of operating personnel and related facilities such as fabric laser cutting machines and laser tube fittings, reduce labor costs and Product Costs; The laser die board cutting machine also reduced defective products caused by human operations, and the rate of good products increased significantly. The laser die cutting machine’s development is faster and the sample is simpler. No matter whether it is the production technology inherited from the traditional craftsmanship or the laser die cutting machine under the laser now, we can all understand the respective advantages and disadvantages. The most important thing is to let us see the advantages of the laser die cutting machine in the formwork industry and its development prospects.